You are a guest in a half-timbered house which originally goes back to around 1640. 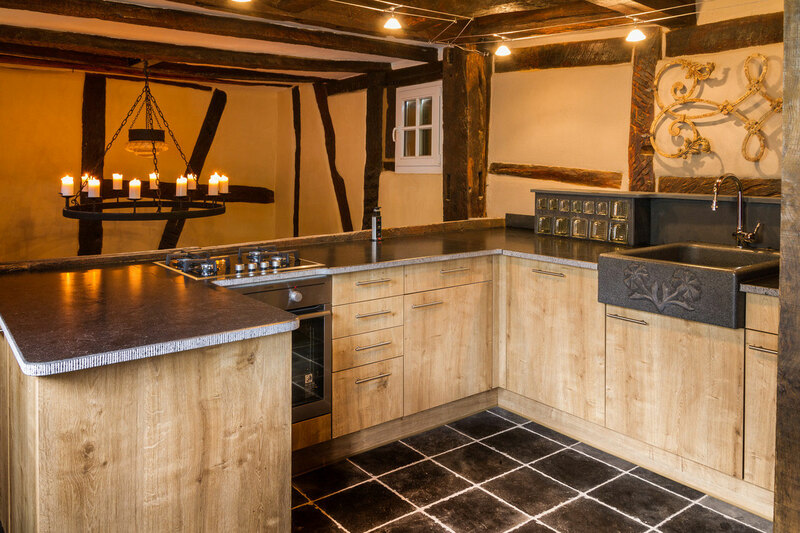 After renovation with devoted artistic labor, in 2015 it is created into a living space of 70 m² a beautiful combination of old style and modern technology which invites you to relaxing atmosphere. We promise allergy free place by ecological construction. With private parking in front of the house, your convenient stay begins. Kitchen in ground floor and dining room form a space with a sophisticated atmosphere that emphasizes the character of the house. 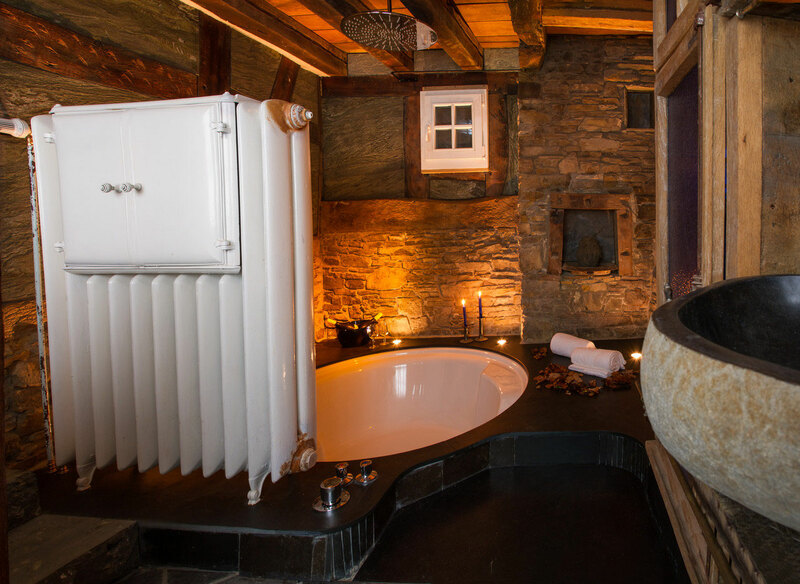 The extraordinary bath with round tub and rain shower invites you to relax. 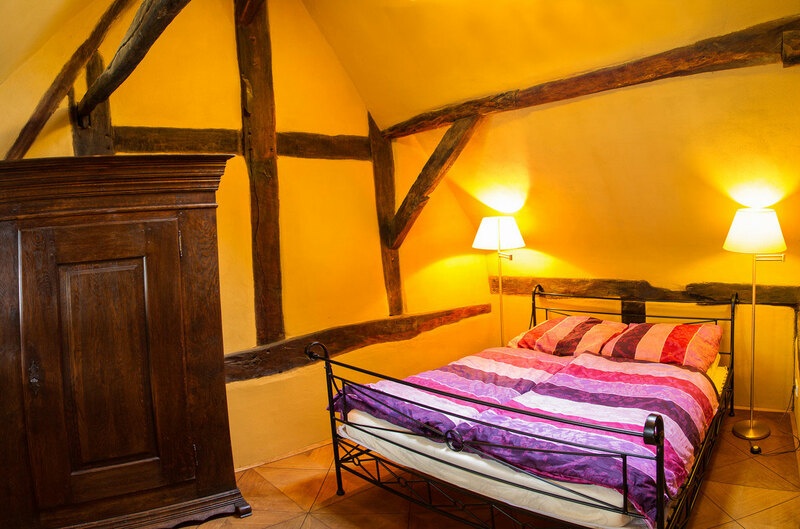 The upper floor has two cozy double bedrooms and a living room with two single mattresses. The television is offered for amusement. 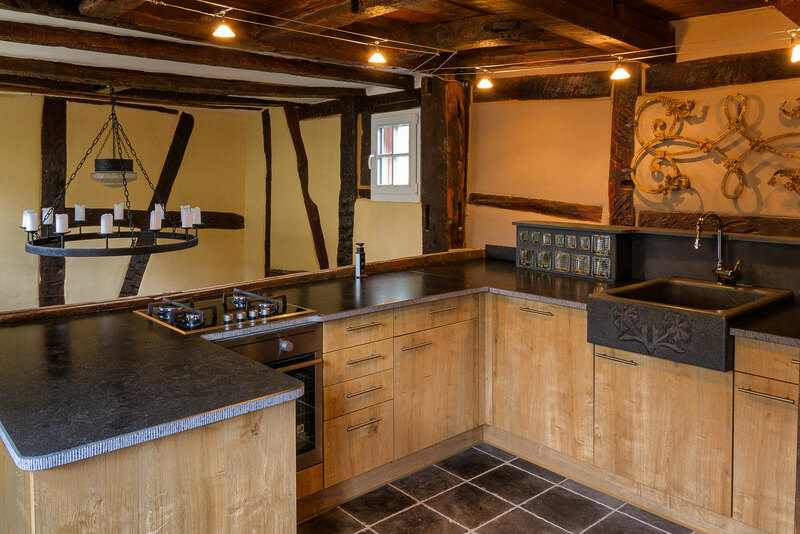 To make you feel at home, our kitchen is facilitated with various technical devices, so that you do not have to give up your individual coffee, tea or toast. Also you do not have to hassle yourself by packing towels and bedclothes and no worries about cleaning. All the amenities of the town Adenau and the Nordschleife of the Nurburgring are easily reachable on foot within a few minute. The kitchen is equipped with gas stove, dishwasher, toaster, coffee maker, washing machine and everything for pleasant staying. The dining room is reached via the kitchen. 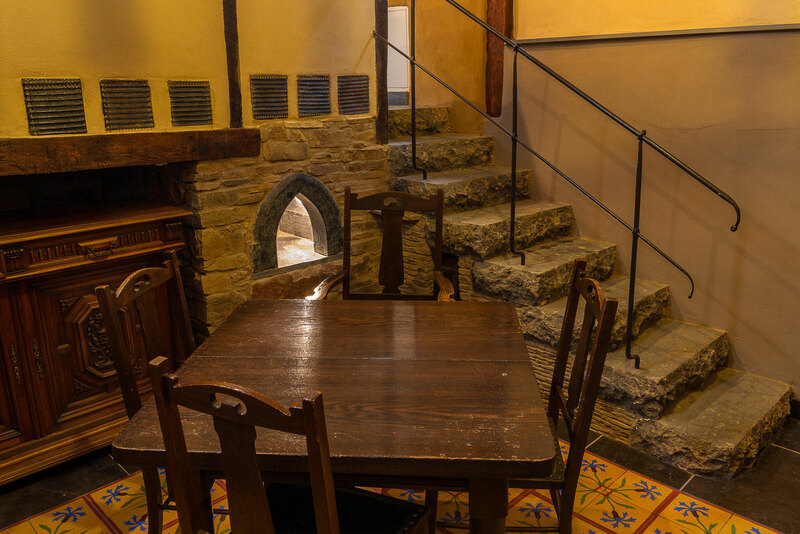 It is located in the basement of the house and forms a large room together with the kitchen. This area is, like all the others, lovely restored and rebuilt all by hand works. Here you can see one of the two bedrooms. Another room provides a ladder which leads you to further sleeping place. It has an accommodation for 4 - 6 people. In the extra large, walk-in tub, you can let it rain like in the rainforest .